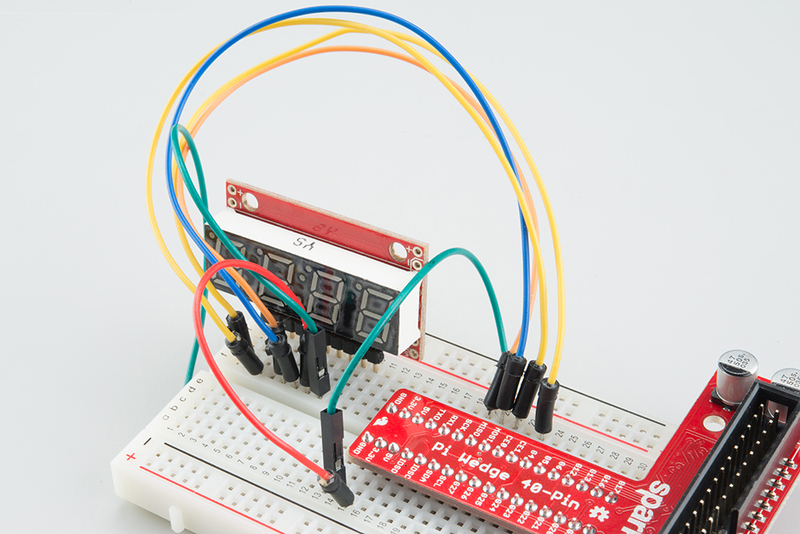 One of our more popular tutorials shows how to use the SPI and I2C buses available on the Raspberry Pi GPIO header. It seems that people are interested in connecting hardware to the Raspberry Pi, which is definitely a good use for the tiny computer. The original tutorial showed how to use the WiringPi library with C++ to talk to a SPI 7-segment display and an I2C digital-to-analog converter (DAC). While I do thoroughly enjoy C/C++, I figured giving Python examples alongside the C/C++ ones would give readers more options. I used the smbus Python package in the tutorial, as that seems to be the de facto package for communicating over an I2C bus. However, it is lacking some of the lower level I2C functions, such as clock stretching, which limits its usefulness with some sensors that require it (like the Si7021). If you can recommend any I2C Python packages that are easy to use and can handle clock stretching, please let us know in the comments! Anyway, thanks for the efforts! I'm hoping it won't be too long before I have time to tinker a bit more with I2C and/or SPI from a Pi. No worries, and I definitely appreciate the time you take to look at the tutorials! There really wasn't much added to the tutorial, as it's been around for a while. All I did was add a couple of Python examples to give people options when it comes to using SPI and I2C on the Pi.